It was earlier than 1950 that employees at the former “Vereinigten Österreichischen Eisen und Stahlwerken” first got together to play music in their leisure time. 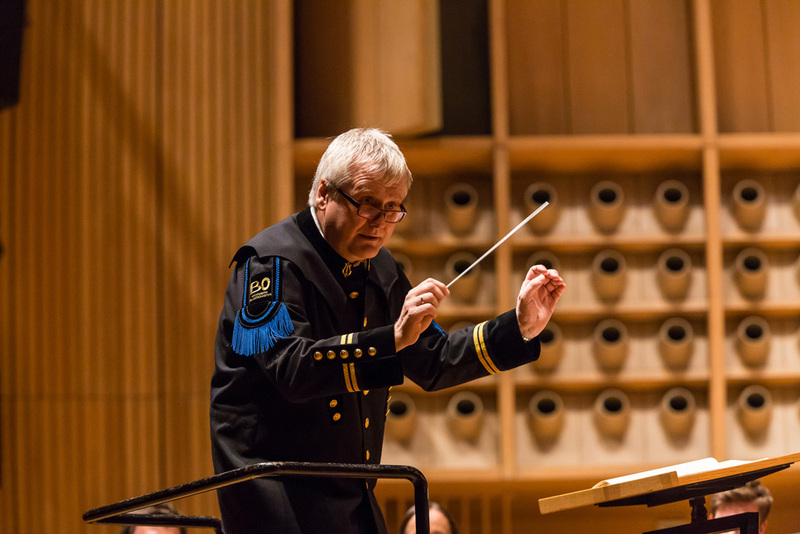 However, today’s voestalpine Steel Division “works band” in Linz has developed into a high-performance orchestra. The voestalpine orchestra currently has 61 active members who play together in their leisure time and rehearse for numerous concerts. The orchestra also currently incorporates a brass quintet and a woodwind quintet. The musicians give around 20 performances each year, and the concert in Linz’s Brucknerhaus is the annual highlight. Walter Weinzierl has been the band’s musical and artistic director since 1996. The 61 enthusiastic musicians demonstrate their commitment and abilities during a wide range of performances. That is why the voestalpine orchestra based at the site in Linz is well known both within and beyond provincial and national state borders. The orchestra has already notched up numerous successes in concert and marching band competitions. Only recently, the musicians in the voestalpine orchestra won first place at Flicorno D’Oro, the prestigious, international brass band competition held in Riva del Garda, Italy. Walter Weinzierl and his ensemble are constantly on the search for fresh challenges. Their CD, “Viola, Brass & Winds”, and several radio recordings indicate the prominence enjoyed by the voestalpine wind orchestra. Expanding their horizons is also an essential part of the orchestra’s continued development; their numerous concert trips to Russia, Australia, the USA, and South Africa, etc., are a constant source of new experiences. At this year’s voestalpine Klangwolke, presented by Linz AG under the motto “Blue Danube moves!”, the Danube is both the subject and the stunning backdrop for the event. The voestalpine orchestra together with musicians and bands from various regions along the course of the Danube will all meet on the water. Arriving on staged ships, they will play their melodies, later coalescing for a waltz. A European landscape orchestra will be formed, and the fireworks lit over Linz. “Blue Danube moves!” and marks the start of the festival that night.